Automation in marketing processes has already begun but this process is set to rise further. A lot of organizations and marketers are grappling with best ways to execute the same. This write-up explores the webinar which strategizes ways for marketers to make best use of this field without letting employees feel threatened about their place in the organization. As per marketing research conducted by Marketo, it was realized that a staggering 91% of successful users polled, feel that automation is very important. They feel that automation leads to a 70% rise in overall customer engagement levels. Also it doubles up the conversion rate of leads to opportunities. It even triples the revenues driven through marketing functions. Per day, around two and a half hours of working time get saved by this. Such time saved can be used by marketers for fulfilling more creative pursuits. The final conversion depends on the effectiveness of the inside and field sales. The curve has been significantly altered by the scheme of automation. It has moved beyond its earlier linear progression to a hybrid one. At the basic level, marketing automation seeks to integrate the entire CRM process. It allots scores to various sub-parts in the entire process. Each data point can then be rated on individual scores, so marketers get exact business intelligence on which aspects to target more, and which are already doing well. The nurturing of the customer segments then takes place automatically once the system is aware of individual touch points. At the next level, automation makes full utilization of the entire funnel. Targeted marketing is conducted on specific segments. Dynamic leads get routed from various touch points. Triggers and alerts are disseminated often through the use of Push messages. At the final stage, a multi-touch attribution process is created. There is thorough reporting of operational aspects done using automation. The sales personnel get empowered as the CRM now uses sophisticated technical tools. The enormous amount of data warehousing that gets done by this stage, gets leveraged to predict customer moves. The CRM professional can thus stay ahead of the rest of the market. A baseline hypothesis has to be derived as to what the team has achieved till that stage and where all improvements can be made. A set of recommendations must now be presented. This has to be followed by a detailed plan being formed. And finally, the execution is conducted. Several third party market agencies exist which help out in devising marketing automation strategies for respective clients. Leads must be funneled from the scoring established on separate activities that have been conducted. A blueprint needs to be then established about the benchmark towards success. Clear metrics need to be selected which will help during the later reporting stage. This is amongst the trickiest stages in the process. Aligning all departments towards common organizational needs has always been a challenge even in modern organizations, less divided by silos. 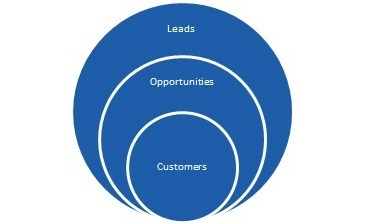 For sales, the only points that matter will be increase in the top line. Their concerns are very different from those of marketing, though unfortunately agencies often mix them into one. A clear level of empathy shown towards personnel from different departments can go a long way in establishing the pan-organization integration. For those at the top management, their ultimate objective is always business and revenue expansion. If automation cannot solve individual department issues, then each head will start questioning the value of the exercise and such doubts will percolate down. Getting the right sort of data to measure the performances is another sound method of convincing department heads. For those who run the respective organizations, adequate data that will allow accurate business forecasting, is what will be seeking. The IT department needs to make sure that the data is secure at every stage and that there aren’t any leaks. As a support system to the organization, IT needs to remain reliable. Increasingly, IT is venturing to more than just support to marketing, but indeed as a partner. Automation will further increase its role. CoE Executive Team- this one is in charge of aligning the direction and arranging the funds. They set the budgets and device the final target. An Executive Sponsor leads this team. CoE Strategy Team- this team sets the corporate strategy which needs to be executed using automation tools. They prioritize for the most important tasks to be then executed and also finalize the marketing processes to be applied. This team is led by the Marketing Operations Lead. CoE Architecture Team- this team does the actual execution of the plans under the guidance of various marketing practitioners. They bring out the reports to measure efficacy of campaigns. They use techniques of event management for which emails are an important part. Adequate corporate training and development needs to be provided to various key stakeholders. This is especially pertinent for the marketing and sales personnel. Marketo is one such organization which provides these training sessions. Such training also enables leaky funnels to be rectified. Bad processes can be eliminated and so can campaigns which did not fit into the overall objectives. Getting all data into one campaign is an arduous task but one which if executed properly can bring multiple benefits. The availability of such data will allow proper measurement of campaigns through the skill of business analytics. These can be compressed to Key Performance Indicators (KPIs) which indicate the performances of different streams of work. The said KPIs can broadly be classified into tactical and strategic ones. Tactical KPIs target the entire marketing funnel. A report on an email campaign may be one such example of a tactical KPI. The strategic KPI on the other hand solely targets the top management in any organization. It takes into account the leads taken from different sources, but compressed to form meaningful information for members of the C Suite or the board. As a set of recommendations, one can suggest that the metrics and analytics arranged must be well organized. Also the organization must be proactive in order to curate data from various sources. Small wins must be leveraged on social media or other sources as this creates positive impression about the brand among the customer base.